Realizing he needed more working space, Jörgen in 2003 invested in a property just outside Stockholm where he designed and built Lighthouse Studios. One of the first songs he wrote and recorded at his new location was titled “Feelings”. Jörgen played it for Simon Cowell who loved it. Spending much time in the US, Cowell liked watching the television drama series “The Sopranos” and in some of the episodes the background music heard was “Con Te Partiró (Time to Say Goodbye)” performed by Italian singer Andrea Bocelli. Cowell had come up with an idea forming a young male operatic quartet and asked Jörgen if his song “Feelings” would work and in that case if Jörgen could re-arrange it into opera, which he did. A few months later, Il Divo was formed. Signed to Simon Cowell’s record label Syco, the quartet went to Lighthouse Studios for recordings. Il Divo’s self-titled debut album, including “Feelings” and “Hoy Que Ya No Estás Aquí”, also co-written by Jörgen, was released on November 1, 2004. It became an enormous success, reaching #1 in 13 countries including the UK where the group knocked Robbie Williams from the top spot. Il Divo was certainly not the only ones coming to Jörgen’s Lighthouse Studios in 2004. International artists, songwriters and producers worked there regularly. 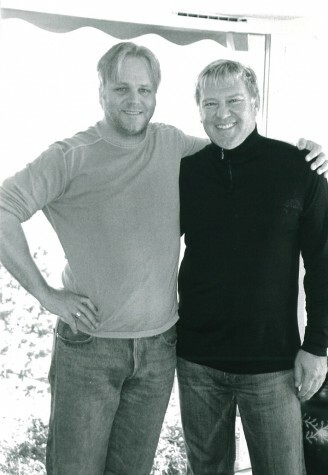 One of them paying a visit was Alex Lifeson, from the Canadian rock band Rush. 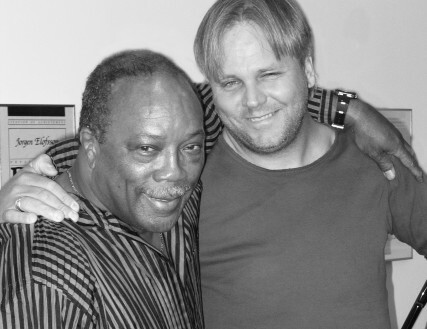 Staying in Stockholm for a period of time, Quincy Jones paid a much appreciated visit at the studios. Another songwriter, perhaps more famous for being one of Hollywood’s leading actresses, Sharon Stone, also came to Lighthouse Studios. Stone stayed with Jörgen and his family for a week and several songs were co-written, one of them was “Let’s Kiss”, with the music written by Jörgen and the lyrics by Stone. The song was released by legendary Swedish artist Björn Skifs on his 2011 album “Break the Spell”, entirely co-written by Jörgen. On April 6, 1974, coincidentally the same day ABBA won the European Song Contest in Brighton with “Waterloo”, Skifs and his band Blue Swede went to #1 on the Billboard Hot 100 with “Hooked on a Feeling”. Being a guitarist, Jörgen always had admired Bryan Adams’ music. Adams, who had heard many of Jörgen’s songs including “Sometimes” and “(You Drive Me) Crazy” for Britney Spears, invited Jörgen to his home in London. 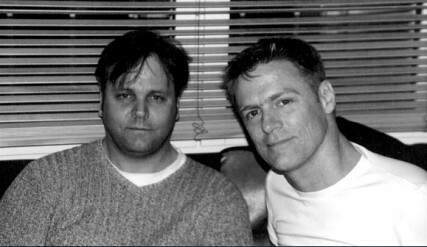 Together they co-wrote for a week which resulted in the song “Nowhere Fast” released on Adams’ 2004 album “Room Service”. To date Jörgen has written or co-written six songs for Il Divo, including “Senza Parole” on the quartet’s latest album “Wicked Game” released in November 2011. Given the honorable assignment of writing the official theme song for the 2006 FIFA World Cup football tournament, Jörgen wrote, “The Time of Our Lives”, also a duet, and this time between Il Divo and the American singer Toni Braxton. Together they performed the song at the opening ceremony in Munich, Germany on the evening of June 9th. The soundtrack, ”Voices From the FIFA World Cup” was released three days earlier and also features the duet “I Believe in You”. To date, Il Divo have sold in excess of 26 million albums worldwide.